All of our padlocks are delivered with 2 keys each as standard but if you require additional keys you must purchase your padlock from our Keyed Alike Padlocks section. This allows us to hold a certain amount of pre-cut keys on the shelf and deliver them to you as fast as possible. Every padlock includes two keys as standard. 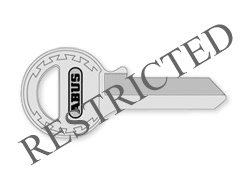 However if you require additional keys you can order them here. Please note this is for keyed alike padlocks only. This is for the brands, ABUS and Shield, some Masterlock lines and some Squire lines. 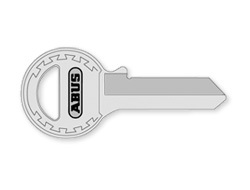 The keys below are either specialist additional keys for things like the ABUS Granit Plus and restricted locks or additional functions which you can bolt onto your order, such as Key-Twice. 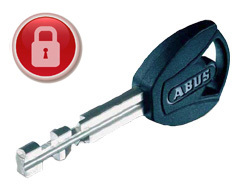 Our high security ABUS Granit padlocks require special keys that cannot be copied easily. 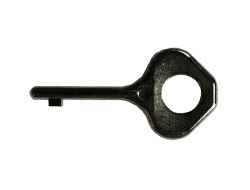 However if you require additional or replacement keys for a Granit padlock you can order them here. This is a special service that we can add to some padlocks which allow you to have a separate set of keys for the same lock or set of locks and enables you to automatically disable the first set. Click more info for a more in depth explanation. 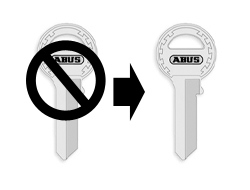 A replacement key to reset the combination on the ABUS 190 and 180 series combination padlocks.